A 5-1 thumping at Camp Nou in the Clasico proved the final straw for Julen Lopetegui, but where did it go so wrong for him at Real Madrid? Having agreed to take the job before the World Cup – he was sacked by Spain as a result – Lopetegui lasted only four months in one of football’s most challenging jobs. Although last week’s Champions League win at home to Viktoria Plzen eased some of the growing pressure on the former FC Porto coach, losing at Camp Nou was a third consecutive LaLiga defeat and the final straw for Madrid’s notoriously impatient board. 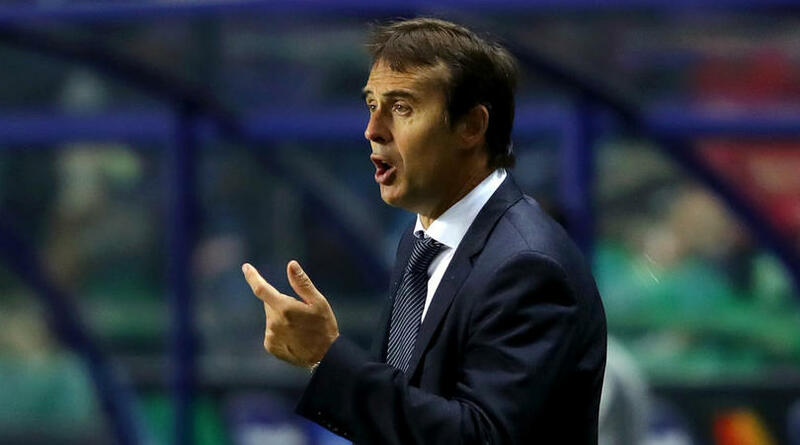 Here, we assess Lopetegui’s short time in charge of Los Blancos by using Opta numbers to see how it all went so wrong, so fast, for the 52-year-old. 14 – The former Spain boss took charge of 14 matches in his brief spell in charge of Los Blancos. They won only six and lost the same number, drawing the other two games. 20 – In those games Madrid conceded 20 times, scoring only one more goal than they let in at the other end. Karim Benzema’s six goals makes him the team’s top scorer under Lopetegui. 14 – Madrid’s 14 goals scored in LaLiga is their lowest total at this stage of the season since 2004-05. The 14 conceded is their worst defensive record after 10 matches since 2008-09. 179 – Los Blancos fired 179 shots in LaLiga under Lopetegui, including those that were blocked, which is more than any team in the division. However, their 7.82 per cent shot conversion rate is the seventh lowest in the league. 9 – Gareth Bale started 11 of Lopetegui’s 14 matches in charge and was substituted in nine of those games, including in Sunday’s thrashing at Camp Nou that proved Lopetegui’s last fixture in charge. 14 – Benzema, Isco, Casemiro and Marco Asensio were the only four players to feature in every match for Lopetegui’s Madrid. 65 – Real Madrid’s goalkeepers – Keylor Navas and Thibaut Courtois – have saved only 65 per cent of the shots they have faced in LaLiga. This is the fourth worst record of any team in the division.